You may well know Hog Roast Kenton for providing gorgeous food to guests at parties and events in this area and further afield but did you also know that we offer more services? 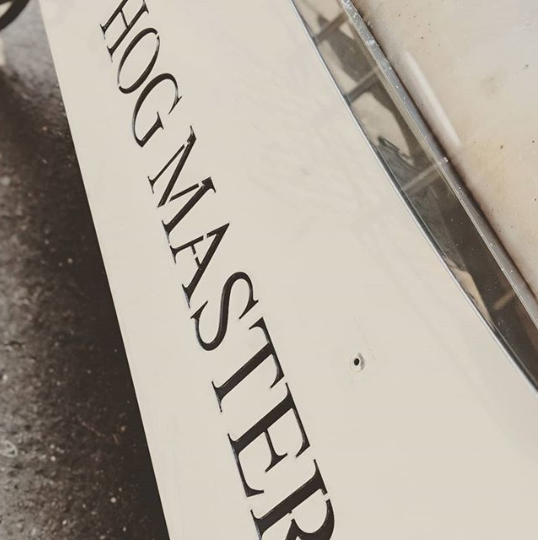 We make our own hog roast machines from scratch, having designed them ourselves first, and we have a range of equipment to suit all kinds of professional and domestic chefs. We sell the machines all over the world and we also rent them out to customers, so that they can cook their own food. Whether you’re a pro who’s catering for an event such as a wedding, corporate function or otherwise, or you just fancy roasting a hog or spit-roasting another animal or bird at home or elsewhere, we’ve got you covered. When you hire a hog roast machine from Hog Roast Kenton, you don’t just get the machine – you get our many years of knowledge and experience, and our expert staff will show you how to use it when we drop if off. That’s right – we even include a delivery service and of course we collect it after you’ve used it too, saving you time and effort. When we walk you through the ins and outs of our machines, you’ll certainly be surprised at just how easy it is to use, no matter which one of our range you choose to use. We made them that way, as we think the machine should do most of the work, but you can take all the credit at the end of the day! When Daryll asked Hog Roast Kenton about renting a machine to use at home, it was for a one-off party for his wedding anniversary. He’d always wanted to try hog roasting himself, and having tasted our scrumptious food in the past, he wanted to use one of the machines that we use. I delivered the machine to Daryll over the weekend, along with a hog for him to roast. If you’ve never roasted before, or even if you have, you may want to use this service of ours too, as we source the pigs locally and they’re always of high quality. When I picked the machine up from Daryll’s home 2 days later, he was hooked, and has booked it to cook a barbecue as well next week!